Street Fight, a national website covering local advertising and commerce, profiled Times of San Diego Monday in a comprehensive question-and-answer column. Columnist Tom Grubisich interviewed Times founder and publisher Chris Jennewein about the one-and-a-half-year-old website’s success to date and strategy for future growth, both in San Diego and with a sister site in Los Angeles. The article, “‘Indie’ Times of San Diego Marches Northward With Twin Site in Metro L.A.,” answered questions about the San Diego website’s audience, business plan, news coverage and competitors. “I believe that local news coverage is vital to a democracy, and my vision is to develop independent local media that reaches millennials and Gen Xers on their own terms,” said Jennewein in the article. 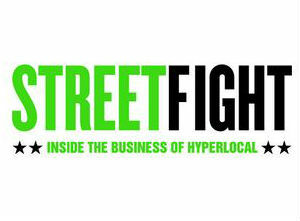 Street Fight follows the “dynamic disruption taking place in the local marketing ecosystem” with articles about local advertising, commerce and media. The Colorado-based company also produces research and conferences.